Wineries | Business & Tourism Creswick Inc. 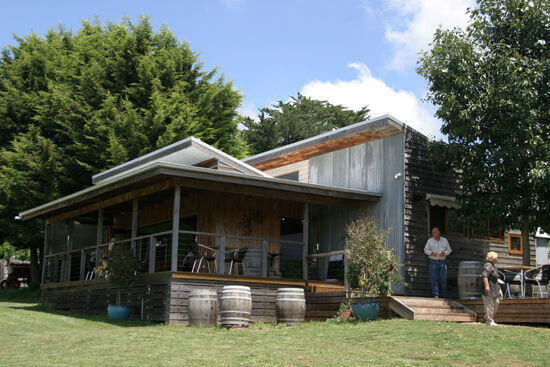 Located on Kangaroo Hills Road in Blampied, 15 minutes from Creswick, Captains Creek Organic Wines is a small family owned vineyard producing premium handcrafted certified organic wines and ciders. Cafe and Cellar Door open Saturday and Sunday, 11.00am to 5.00pm. 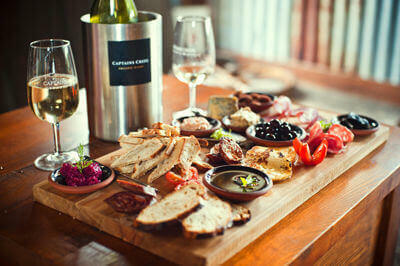 Lunches served from 12.00 to 3.00pm, featuring fresh organic produce from Captains Creek & surrounding farms. Wood-fired pizzas available for private functions. Enjoy a range certified organic wines and ciders, and regional beers in the wine bar, plus homemade cakes and espresso coffee served throughout the day. Accommodation available at Bundaleer Farmhouse. For more information, click here to visit the Captains Creek website, or find the winery on Facebook. Located at 67 Pickfords Road, Coghills Creek, a 15 minute drive from Creswick, Eastern Peake is a leader in boutique wines, selling exclusively to restaurants and niche retailers nationally. With the brand new function/tasting room at the Vineyard, you are welcomed to experience Eastern Peake wines in absolute surreal surroundings. The Cellar Door is open 7 days a week from 11.00am to 5.00pm. On weekdays please call first. For more information, click here to visit Eastern Peake's website, or find the vineyard on Facebook. 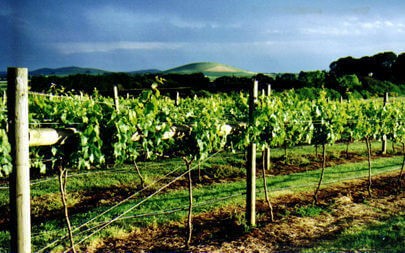 Located on the Clunes/Learmonth Road, Coghills Creek, a 15 minute drive from Creswick, Mt Coghill Vineyard produces wines made entirely from fruit grown on their two and a half acre vineyard. Eastern Peake is next door. The Cellar Door is open Saturdays and Sundays, 11.00am to 5.00pm. For more information,click here to visit Mt Coghill's website, or find the vineyard on Facebook. 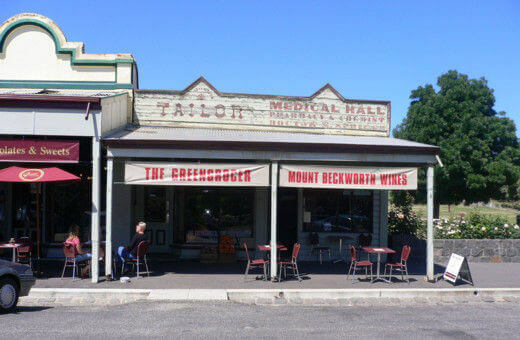 The Mount Beckworth Cellar Door is located at 48 Fraser Street, Clunes, a pleasant 15 minute drive from Creswick. The Cellar Door is open 11.00am to 4.00pm, Friday to Sunday for tastings and sales. For more information, visit Mount Beckworth on Facebook.